I’ve been reading plays for a while, but, this one has gotten to me! To Kill A Mockingbird, is one of the best play I’ve ever read. It was so amazing and I love it. I’ve only gotten to read ¼ of the play so far and I’m eager to read more. According to what I’ve read so far, this play is very interesting. The first chapter of To Kill A Mockingbird might leave a reader feeling confused because we don’t know what’s really going on with the Cunninghams and Atticus. According to page 4 “I brung you these hickory nuts as part of my entailment”, says Cunningham. “Well I thank you, the collards we had last week were delicious”, says Atticus. So Cunningham has been bringing food…but why? Scout, Atticus’s daughter, says “why does he bring you all this stuff?”Atticus says,”he’s paying me for some legal work I did for him”. So this explains that Atticus is making cunningham pay for some legal work he did for him. Scout,”why is he paying you like this?” Atticus, “That’s the only way he can….he has no money”. So, Cunningham is a poor farmer. As he goes to the farm he gets food to bring to Atticus since that’s the only way he can. So far the Finch’s and Cunningham in To Kill A Mockingbird might remind a reader of a situation in the world like the government shutting down. A few months ago Donald Trump decided to shut down the government which led to poverty. People weren’t getting paid because there was no money. This refers to To Kill a Mockingbird because at that time they just came from the Great Depression and they were going through a rough time. Money was scarce in both times. After reading this part of the novel I’m sure I would definitely look forward to reading the rest of the book because it’s an interesting novel and it will have a reader feeling engaged to what happens next. What I think will happen next is Atticus will eventually stop making Cunningham pay him since he is a poor farmer. Also, Atticus will inform Scout of why Cunningham was paying him the way he did. 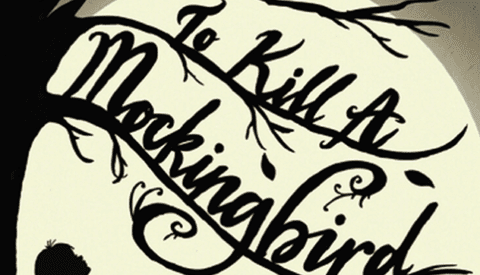 Overall, this novel would make a reader concerned about what To Kill A Mockingbird is about. Evil Eye by Hatou is licensed under a Creative Commons Attribution-ShareAlike 4.0 International License. I’m glad you’re enjoying reading To Kill A Mockingbird! I liked your comparison of the circumstances then to today, though I’d say its more comparable to the social state of today’s world. You did a great job inferencing what is going on in the first chapter when the reader isn’t totally sure at that point in the book. I’d be interested to hear your take on the rest of the book and its themes!